My hysterical laughter was uncontainable, heightened by the absurdity of the event that had just occurred. Despite the fact that $200 dollars worth of my brother’s fishing equipment, was now resting peacefully at the bottom of West Grand, my totally loss of self control was infectious enough to make my brother crack a wide smile. Seconds before, a salmon of truly epic proportions had leaped from the water, barely had “OH MY GA” escaped my lips, when his rod doubled over, flew across his back and disappeared into the murky depths. The titanic nature of this fish will be debated for years, and I revel in the fact that I was the only observer of its true size. My halfhearted attempts to console my brother, between bouts of uncontrollable laughter, centered on the fact that though he had just lost a complete fishing outfit he would be saving a TON in taxidermist fees! Though I was light headed and gasping for breath, I seem to remember a swear word being mumbled at this point in the conversational exchange.This shining moment, was the start to one of the most enjoyable and memorable fishing weekends in recent memory, as family, friends, outlaws and savages all descended upon the small town of Grand Lake Stream, Maine for our annual spring fishing weekend. 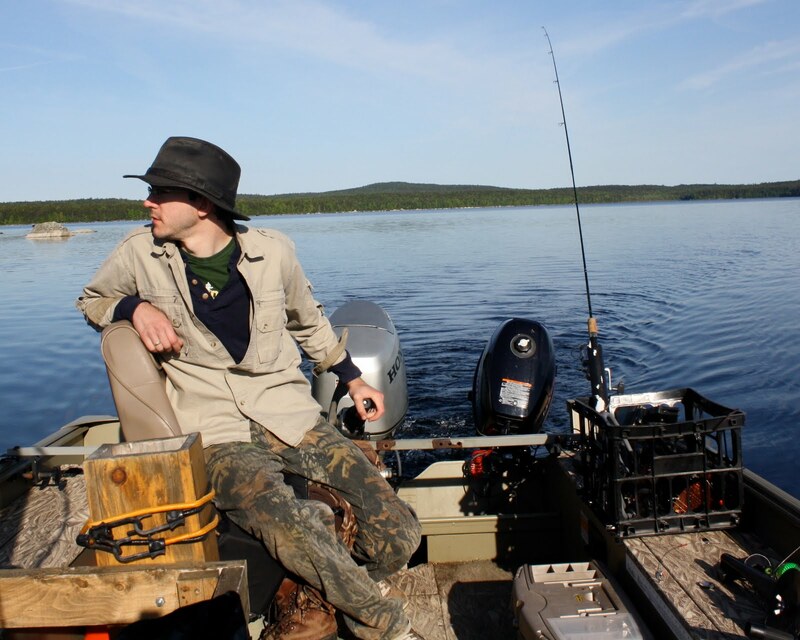 In all fishing adventures, there are highs and lows, times when the fish bite and times when the “strikes” go cold. 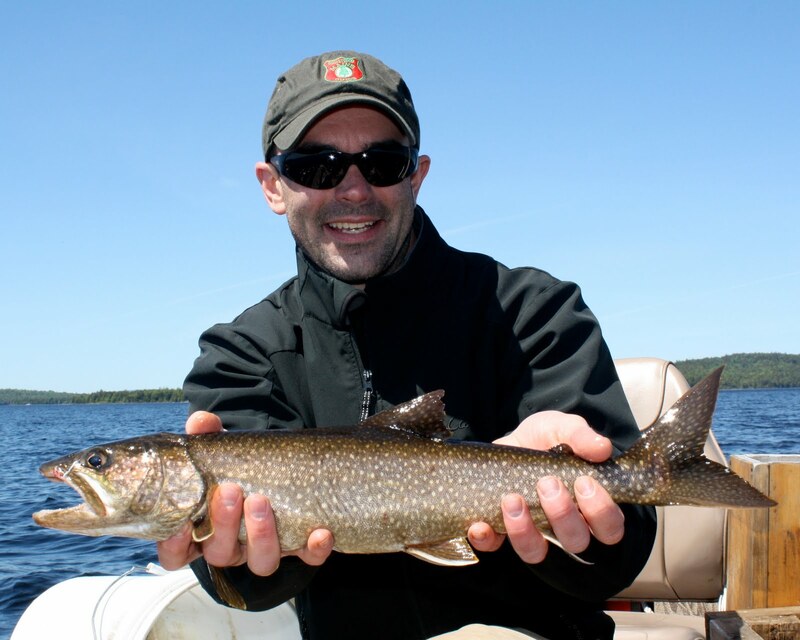 While Friday was marked by incredible fishing action, with 15 salmon and lake trout brought to net, the rest of the weekend saw not a single strike. It is fortunate, for my already shaky fishing reputation that this cold front aligned precisely with the time I left my brothers boat and set foot in the boat of Mr. President. Rather than blame myself, for the dramatic turn of events, this transition provided me with the perfect scapegoat. Now this isn’t to say that this predicament was totally the fault of Mr. President. 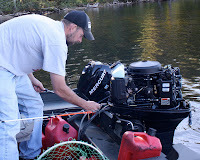 Several other factors were against us from the onset, including a 50 HP Mercury outboard that only operated on trolling speed or wide open and a downrigger that was secured to the side of the boat with bubble gum and dental floss. 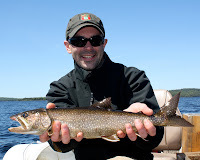 I don’t mean to infer that Mr. President’s fishing prowess is anything less than exceptional, I am simply trying to muckrake to divert attention away from the fact that I didn’t manage to land a single fish on Saturday or Sunday, despite hours of invested trolling time. Never mind that we were fishing in high winds, that tossed Mr. President’s 18 foot Lund about like a wine bottle cork on the Atlantic and that I had, at this point, lost all 5 DB smelts and was fishing with a lure fashioned out of tinfoil and duct tape. These “concerns” mean little to the dedicated sportsman and are simply speed bumps in the road of outdoor life and cannot, in good faith, be used as viable excuses. As this long weekend of adventure rolled to a close, it was decided by the high council of family elders, that despite his personality flaws, bodily odor and inability to catch fish, Mr. President would be allowed to become a regular participant in the spring fishing trip. His supernatural abilities to move outhouses, spin tall tales, fix outboard motors and brew a semi descent cup of coffee outweighed any possible negatives. In all seriousness, we would be hard pressed to find an easier going and better individual than Mr. President. 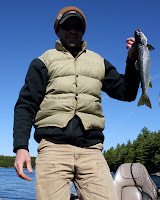 Please take a few minutes and stop by Mr. President’s blog and check out an alternate set of lies and stretched truths concerning our forays in Grand Lake Stream! 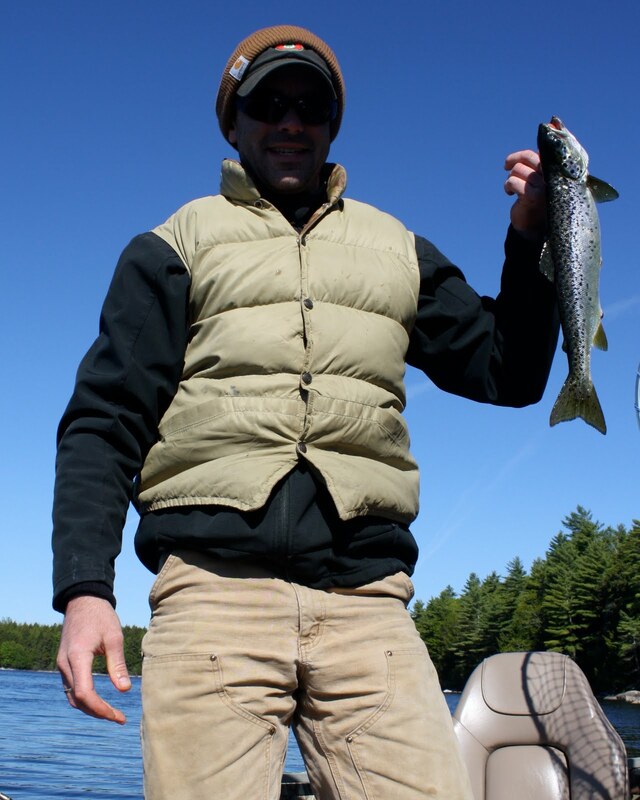 For more on West Grand Lake and stories from last year check out the previous post from the spring 2009 fishing season. Cool stories... and love the new look of he blog! David, thanks man! Much appreciated! Thinking we need to get together real soon for icy cold ones and WANGS! SB, Comments related to my "genius" are always greatly appreciated! HAHA!